New medical procedures, for example in the orthopedic area, have made the need for rehabilitation facilities increase. Drug and alcohol rehabilitation has also become much more common. Rehabilitation facilities in the proper location can be a terrific investment. Perhaps you’ve found one for sale, or you need to upgrade the one you own. A Hard Money Loan may be what you need to pay for that upgrade to your property, or perhaps you want to purchase the one that is for sale. 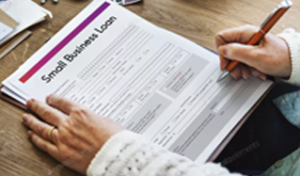 If you’re present credit situation, or the location or physical conditions of the property won’t allow financing through conventional conforming loan channels like banks and mortgage brokers, now may be a good time to apply for a hard money loan. There are hard money lenders all over the country: private investors, mortgage companies, or banks that deal in hard money financing can help finance renovations or acquisition of another property. If you deal with a hard money loan broker, be prepared to pay “points”: an up front percentage that probably will start somewhere around 3%. The collateral that secures the loan will be the rehabilitation facility itself. The lender may also ask you to put up other assets to consummate the deal. Hard money lenders will typically finance only a percentage of the purchase price of the rehabilitation facility— usually 65% to 75% (Loan to Value Ratio). Since the property will produce income, a loan can be based on the value of the property plus its income producing potential. Interest rates might possibly run from 8% up; may initially be fixed, but later become variable. Experience in running a rehabilitation facility will be a plus in applying. Be prepared to give the lender the following, in addition to color photos of the land and any buildings. Disclaimer: The hard money loan calculators found on this website are offered only to estimate monthly loan payments of hard money Rehabilitation Centers loans. No guarantee is offered or implied as to their accuracy. Hard money Rehabilitation Centers loans are non conforming, they do not conform to the underwriting guidelines of Fannie Mae or Freddie Mac. Each private equity hard money lender has their own fee structures which may include points at closing and early prepayment penalties. Discuss all of the details of your particular hard money Rehabilitation Centers loan including all costs and fees with your selected hard money lender.